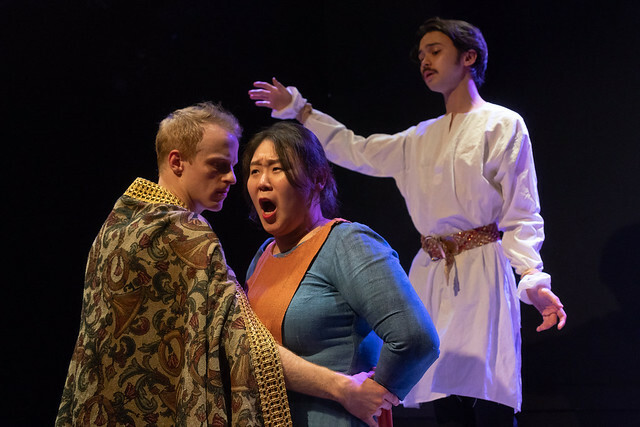 NEW YORK – On May 7 and 8, New York University’s Tisch School of the Arts, American Opera Projects (AOP), and the Fort Greene Park Conservancy (FGPC) will present “Park and Bark,” twelve mini-operas written by students in Tisch’s Graduate Musical Theatre Writing Program (GMTWP) on the subject of Fort Greene Park, one of New York’s, and the nation’s, most historic and vibrant neighborhood parks. The operas, each under fifteen minutes, include dramatizations of the park’s large dog walking community, the remains of the Prison Ship Martyrs from the American Revolution, and a park gardener in a post-apocalyptic future. Six of the operas, staged by opera director, associate Arts Professor and Head of Dramaturgy in the Graduate Department of Design for Stage and Film Sam Helfrich (Glimmerglass, Virginia Opera, Boston Lyric), will be performed at NYU Tisch’s Black Box Theater (715 Broadway, 2nd Floor, NY 10003) on Saturday, May 7th at 2:00pm. The other six operas will be performed in an outdoor concert near the Visitors Center at Fort Greene Park on Sunday, May 8th at 4:00pm. All performances are free and open to the public. Seating for May 7 is limited and can be reserved at https://parkandbarkmay7.eventbrite.com. More information can be found at www.aopopera.org. The operas will be performed by sopranos Kamala Sankaram (Prototype Festival), Deborah van Renterghem (Santa Fe Opera), and Amelia Watkins (Leipzig Gewandhaus), mezzo-soprano Sarah Heltzel (Seattle Opera), tenor Blake Friedman (Brooklyn Academy of Music), countertenor Eric Brenner (Prototype Festival), baritone Jorell Williams (Santa Fe Opera, Mark Morris Dance Group), and bass Sam Carl (Berlin Opera Academy, Edinburgh International Festival). 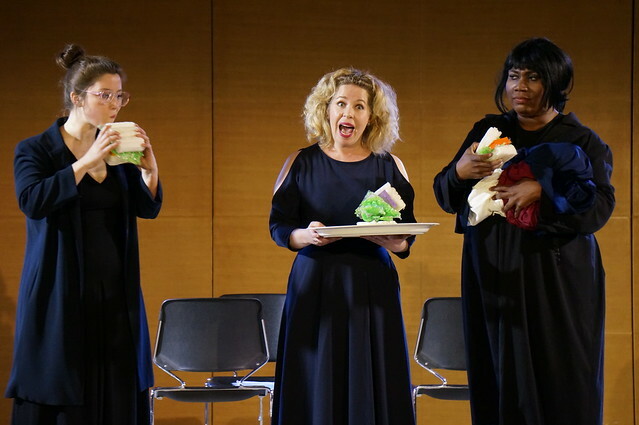 Like Mozart, Handel, and Verdi, who often wrote roles for particular singers, the composers worked with the professional opera singers and music directors Kelly Horsted and Mila Henry on the development of the thirteen operas. Students in the Graduate Musical Theatre Writing Program (GMTWP) began learning the ins and outs of opera writing this spring when Brooklyn’s American Opera Projects (AOP) partnered with Tisch School of the Arts for a new “Opera Writing Workshop.” Led by composer and faculty member Randall Eng, the workshop is an advanced class for composers and librettists of GMTWP at Tisch, as well as recent alumni, to collaborate with professional opera singers and music directors under the mentorship of AOP, an opera company in Fort Greene that has developed and premiered contemporary operas for over 25 years. AOP General Director and Fort Greene Park Conservancy Chairman Charles Jarden, with park and conservancy staff, guided the thirteen composer/librettist teams’ research of Fort Greene Park in diverse subjects as park history, modern anecdotes, and neighborhood color. 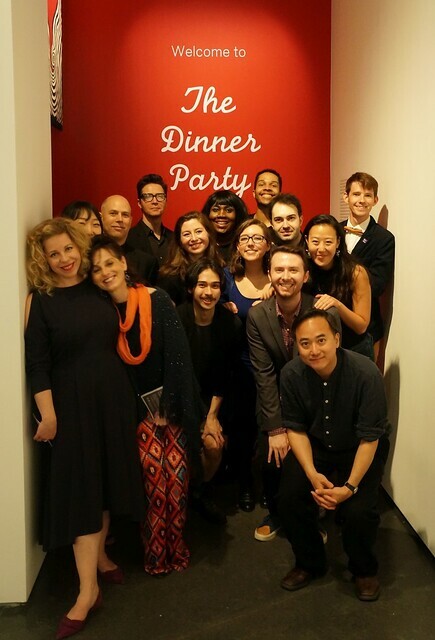 Support for the workshop was provided by the Institute of Performing Arts, NYU Tisch School of the Arts, and a multi-year award to AOP from The Andrew W. Mellon Foundation, with the free performances made possible by public funds from the New York City Department of Cultural Affairs, in partnership with the City Council.